Selenium Training in Chennai at Credo Systemz from the Trainer who is having more than 10+ years of experienced professional in IT Industry. We provide you the Best Selenium Training in Chennai among the different training institutes in Chennai. Our Selenium Training Course content ensures the absolute Practical oriented Selenium Training learning in Chennai. 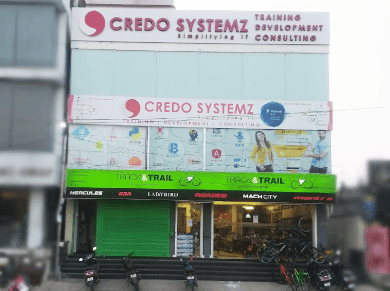 Credo Systemz, with the capability of providing hands-on Selenium Testing Training solutions, seats itself as Best Selenium Training Institute in Chennai. Selenium training course content provided by Credo Systemz covers all the topics starting from basics to advanced concepts. We are conducting Practical and Job Oriented Selenium Training with real time examples. As a result, the trainees should be benefited during the interviews especially who looking for Placements. That’s the reason Credo Systemz is ranked as No1 Selenium Training Institute in Chennai among several selenium training institutes in Chennai. We stand out in Selenium Training as Best Selenium Training in Velachery Chennai, and it is purely based on our training methodology. Our Selenium course is helpful for beginners and advanced level Selenium automation tester. Selenium is a popular automation testing tool which is widely used to test the web applications. The main purpose of Selenium tool is automating web browsers. Selenium is also defined as the set of various tools to automate different web applications. The different tools include Selenium IDE, Selenium WebDriver, Selenium RC, Selenium Grid. Many of popular web browsers support Selenium by adding it in their browser by default. Selenium Automation testing tool is used all over the world since it is effective and also open source. According to the latest survey Selenium automation testing tool is used by 70% of companies and also the growth of automation testing increased while comparing to the previous years. Selenium is also named in the Top Trending Software Technologies 2018. Our Training is focused more on Selenium framework. A framework is a bottom line to build the automation scripts and we train the candidates in Selenium Grid as it plays a major role in parallel execution. We have our own Selenium Training Syllabus, material, and documents so candidates no need to refer any other books and online materials.Our Best Automation Testing Training in Chennai also guarantees you providing cost effective training, where you have to get training from top Selenium Corporate Minds. Our satisfied candidate has ranked us as a Best Selenium Training Institute in Chennai with Practical/Hands-on training with free placement support. Check out the free placement drives conducted on our premises. CREDO SYSTEMZ is the Best Selenium Training Institute in Chennai which provides more Practical Oriented Training rather than theoretical oriented. As part of the Training, we are covering Java. The Course duration will be around 45 – 50 hours.We offer both Class Room Training as well as Online Training. Trainers here are actually working for various MNC’s who is having real time experience in the IT Industry. That’s why CREDO SYSTEMZ is Prominent for Best Selenium Testing Training in Chennai. Real-time Practicals 1. Java Logical Programs from Interview Point of View . 2. Interview Questions Discussion. Real-time Practicals Reading Values from the File and Perform Java Logical Programs. Real-time Practicals Interview Questions Discussion. Real-time Practicals 1.Performing End to End Scenarios in Ecommerce Application. 2.Performing End to End Scenarios in User Registration Application. 3.Handling WebTables in the Live Score Card. 4.Performing Functionality Test in the Banking Application. Real-time Practicals 1.Retrieving Values from the Property file and perform End to End Scenarios in Live Projects . 2.Reading and Writing Values from the Excel File and perform End to End Scenarios in Live Projects. How to Install TestNG plug-in in Eclipse? Real-time Practicals Developing the TestNG Framework using POM Design Pattern in the Live Project. Detailed instructor led sessions to help you become a proficient Expert in Selenium. Build a Selenium professional portfolio by working on hands on assignments and projects. Lifetime access to downloadable Selenium course materials, interview questions and project resources. Basically, Selenium is the Open Source Functional Automation Testing Tool which was developed by Thought Works. Selenium supports different Scripting language and it supports different Operating Systems that’s why it is being used in most of the IT Companies. Now it's a Best Automation Testing tool and all the manual testers are started to learn Selenium Testing. Check here the Latest Job Opportunities. Practical oriented Selenium Training in Chennai and Online Training by Industrial experts. Also, we provide Basics to Advanced level concepts in training series. Furthermore, our Instructor has 10+ years of experience in Selenium Training & Testing Automation. As a result, You can get updated knowledge in Selenium Testing. We have Best Lab facilities, so you can use it as much as you want. Almost Interview focused Selenium Training for beginners in Chennai. Therefore, we guarantee 100% Selenium jobs placement support for freshers. Consequently, Practical Assignments, Assessments and Mock interview will be conducted post training sessions. Most noteworthy Less selenium training fees in Chennai. Hence, We offer Hands-on Selenium Training in Chennai and placement assistance for candidates. Also, We provide adequate knowledge about Selenium automation testing and the different frameworks. Our value is the attention each student receives from us while learning the Selenium Training in Chennai. Since Compact batch size for Best Selenium Automation Testing Training in Chennai. Our Selenium Training in Chennai classes will make sure that you get confidence in Software Test Automation. Especially our Course content formulated for the Job based Selenium Training in Chennai. Yet CREDO SYSTEMZ offers Selenium corporate training for Software Developing Companies. In addition, Special care will be taken for the Freshers during Selenium Training Chennai. Finally, Affordable Selenium course fee with special offers for Students/Freshers at Best Selenium Training in Chennai. In result, You can get Highly skilled Selenium Training with Less course fees in Chennai. It is our esteemed duty to communicate the current prominence and requirements to accomplish tasks and jobs through Selenium Training in Chennai. 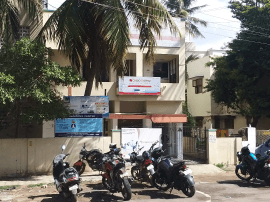 Minimum Selenium training cost in Chennai. Should You teach Java before Selenium ? Selenium with Java is widely used in the IT Industry, though Selenium supports different scripting languages. Java is the most popular among them. Don’t you have sufficient knowledge in Java? – No worries, our Selenium Training starts from basic Java Programming. How hard is to learn Selenium ? NO HARD!Good knowledge in Java can be very helpful if you really want to learn Selenium. In 45 to 50 Hours of course duration, you will become an Expert in Selenium Automation. Where will I be land up in after the completion of Selenium Automation Training ? Yes, You can start automating the Project using Selenium on your own without anyone’s guidance/support. You can be able to attend and crack the Selenium Automation Interview as well. Will you Help Me for Interviews? After the course completion, We will conduct Three Mock Interviews. In the Three Mock Interviews, We will figure outs your Technical competence and where you need to Improve. So after the Mock Interviews, You will have a Clear Vision and moreover, it will Increase your Confident Level. Will you provide any selenium interview questions sets ? You can check here the Top MNC Selenium Interview Questions & Answers which is collected by our placement team. It consists of all the frequently asked interview questions which will be really helpful for you to clear the interviews easily. I like to join your Selenium course, May I know the registration process? Just give a call to +91- 9884412301 or fill up the form in the side bar to get a call from our admin team, they will provide you the required details about our next batch and registration process.